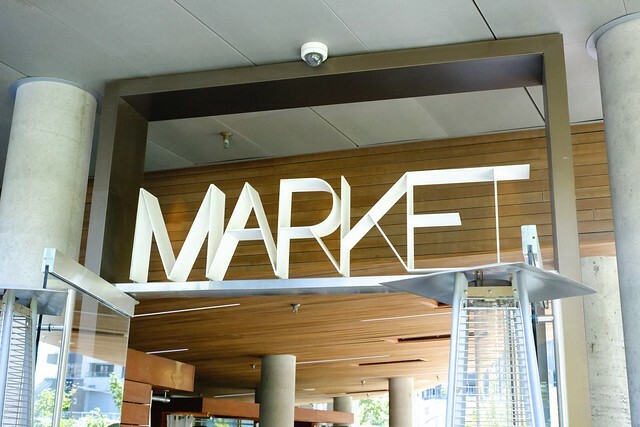 Financial District—(June 25, 2017) The fanciful Market by Jean-Georges restaurant inside the Shangri-La Hotel on Alberni Street introduced their new summer social brunch series and menu, very appropriately dubbed "Rosé All Day". 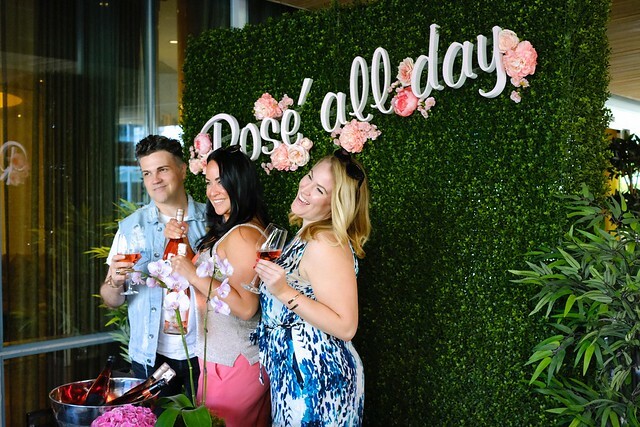 For the heavily rosé themed meal affair, three Arterra Wines were offered including the Kim Crawford Rosé, Jackson-Triggs Reserve Rosé, and Ruffino Sparkling Rosé. The sparkling, in particular, was nicely refreshing and complementary to pretty much everything. 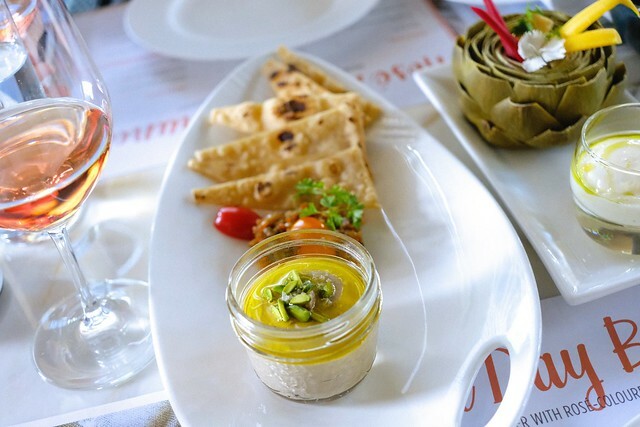 To start, the truffled mushroom pâté (with mushroom relish on gluten-free flatbread) and whole artichoke (with classic aioli) were tasty, more eastern (but welcome) feeling, dishes well-suited for munching on in between sips of coffee and wine. 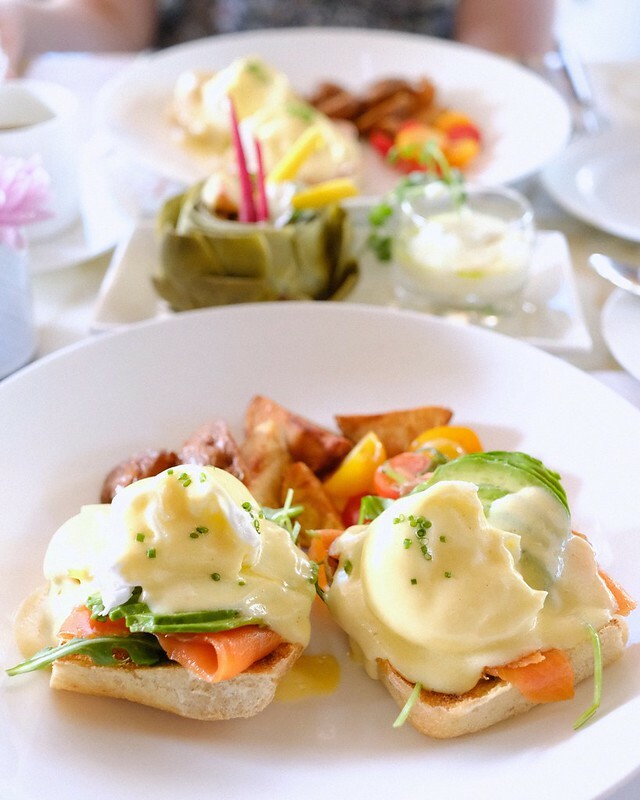 Of the two benny options, I went for the smoked salmon and avocado Benedict (served on toasted ciabatta bread with Hollandaise sauce). It was a well-cooked and presented dish with a slightly elevated but still familiar taste. The other option, the emperor ham and cheese Benedict (on a toasted English muffin with Hollandaise sauce) was another fine (a bit meatier) choice. For dessert, the fabulously delicious Market cheesecake (with crispy strawberries and a rhubarb sorbet) was a sweetly delectable endeavour (my highlight) full of fruity flavours. I found it fairly perfect meal capper for its slightly lighter but still wholly satisfying sweetness. 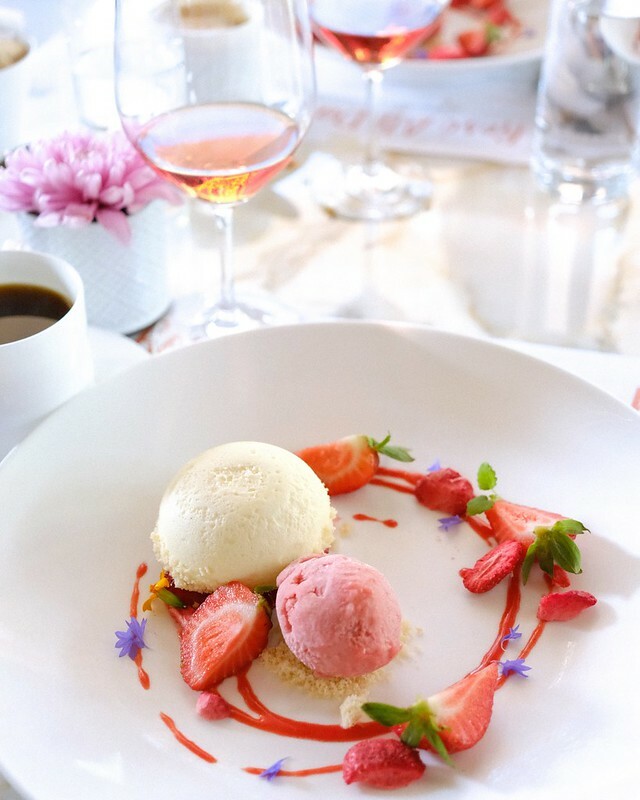 Rosé All Day is a clever, if nakedly "Market"-able (pardon the pun), but altogether pleasing dining experience. 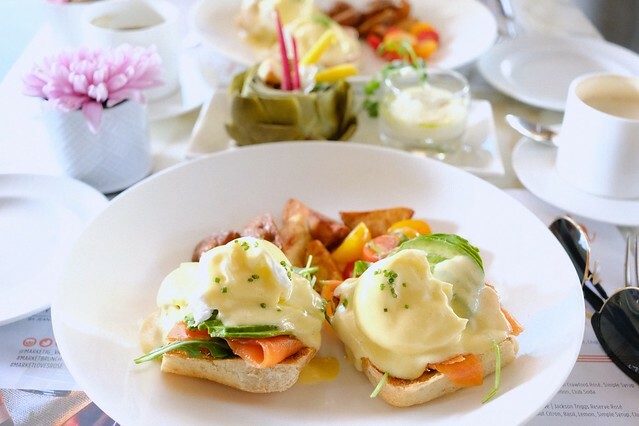 Executive Chef Ken Nakano has crafted a basic yet appealing brunch menu of inviting comfort food dishes with all the usual mid-morning flourishes.